It confused me, initially, that I couldn't find mention of a Burman-scored film entitled 'Aaj Raat Ko' on any movie web site anywhere. But then I discovered that while made (or at least shot) in 1975, it didn't actually come out until 1988, under the new name 'Faisla'. I'm not aware of the reasons behind the lengthy delay and title change, nor do I know if the soundtrack album was released prior to the production being aborted or if Polydor simply figured "well we have these new RD songs, might has well put them out there". The latter would at least explain the fact that the film's score only constitutes half an album. To be honest, it's not a very memorable one. The only song I really like is Asha Bhosle's atmospheric, psyche-tinged 'Koi To Aye Ga Re'; that one is quite lovely. I'm unable to generate much enthusiasm over the rest. Perhaps additional and better songs were planned, I don't know. Side 2 is made up of four of 'R.D. Burman's Best'. Which, while by all means decent, they're not. I've posted most of them earlier. Hi, PC: I have been following your blog almost daily for many years. Being a crazy RDB fan who grew up in the '70s, I can tell you that this album and the film were both released in 1974 and both flopped. In 1988 the film was re-released as Faisla. Dear PC. Thanks for sharing this soundtrack from the extreme rare LP. You could find the EP but LP is rare indeed. 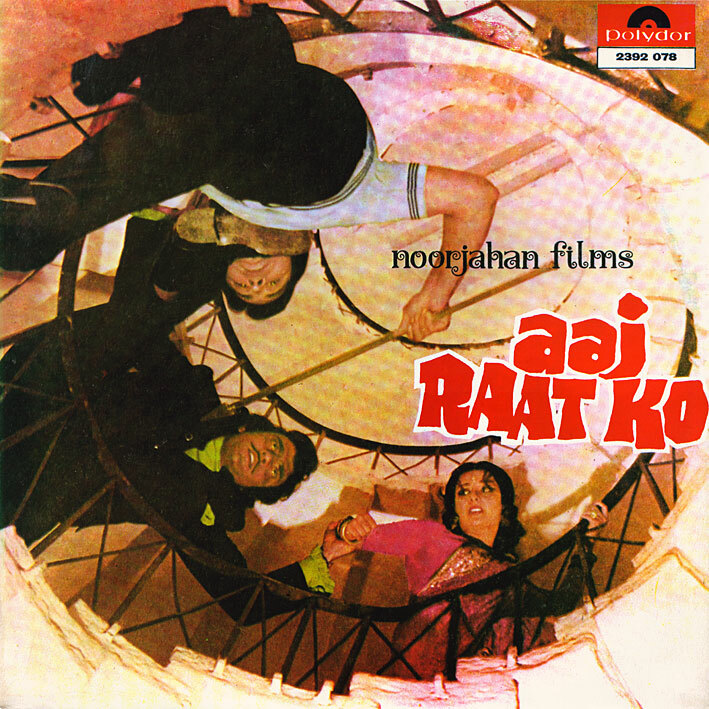 Aaj Raat Ko is a very rare album. Thanks for this fabulous upload. Any RD Burman's album remind Manohari Singh who passed away in this very month in 2010. It wil be a real tribute to him if JEENE HAIN PYAR MEIN(1983) gets uploaded depending on availability. A comment there from the Producer's son says that the film was never released in theaters but was severely delayed and finally sold to Cable-TV companies for very little money, thereby incurring severe losses.